One of the most pervasive and persistent questions in philosophy is the relationship between the natural sciences and traditional philosophical categories such as metaphysics, epistemology and the mind. 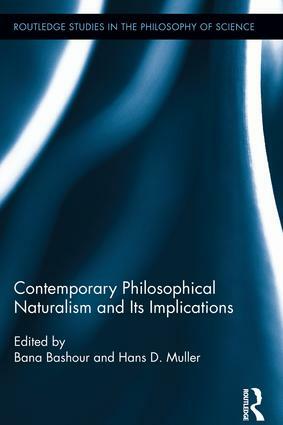 Contemporary Philosophical Naturalism and Its Implications is a unique and valuable contribution to the literature on this issue. It brings together a remarkable collection of highly regarded experts in the field along with some young theorists providing a fresh perspective. This book is noteworthy for bringing together committed philosophical naturalists (with one notable and provocative exception), thus diverging from the growing trend towards anti-naturalism. The book consists of four sections: the first deals with the metaphysical implications of naturalism, in which two contributors present radically different perspectives. The second attempts to reconcile reasons and forward-looking goals with blind Darwinian natural selection. The third tackles various problems in epistemology, ranging from meaning to natural kinds to concept learning. The final section includes three papers each addressing a specific feature of the human mind: its uniqueness, its representational capacity, and its morality. In this way the book explores the important implications of the post-Darwinian scientific world-view. Bana Bashour is Assistant Professor of Philosophy at the American University of Beirut, Lebanon. Hans Muller is Associate Professor of Philosophy at the American University of Beirut, Lebanon.